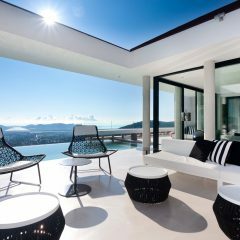 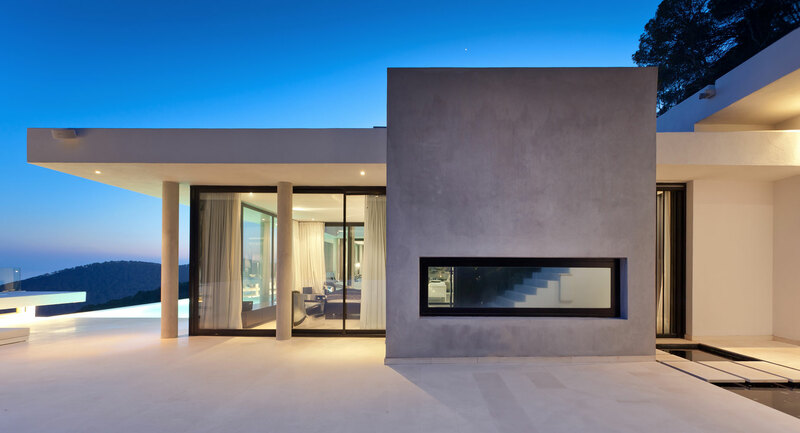 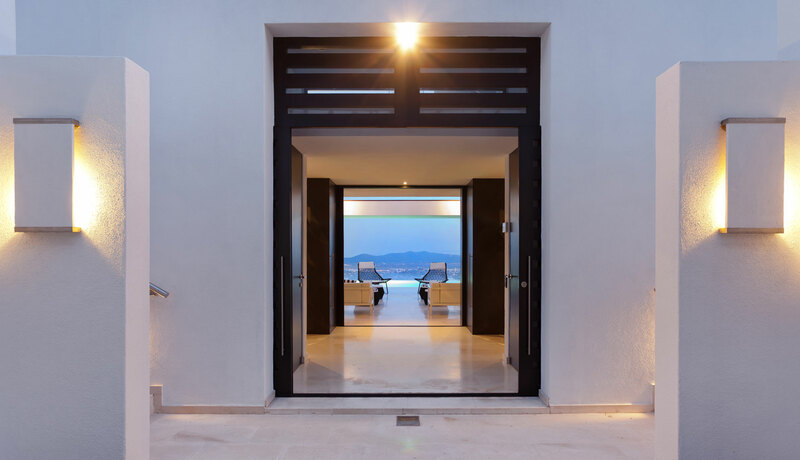 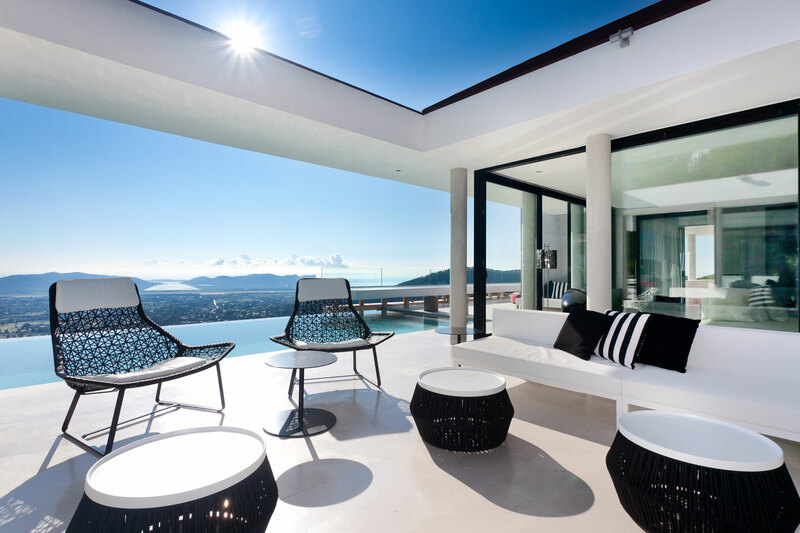 Design and views of the Villa Koi are simply spectacular. 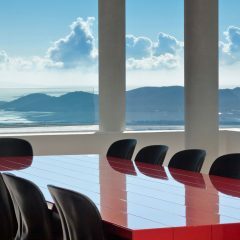 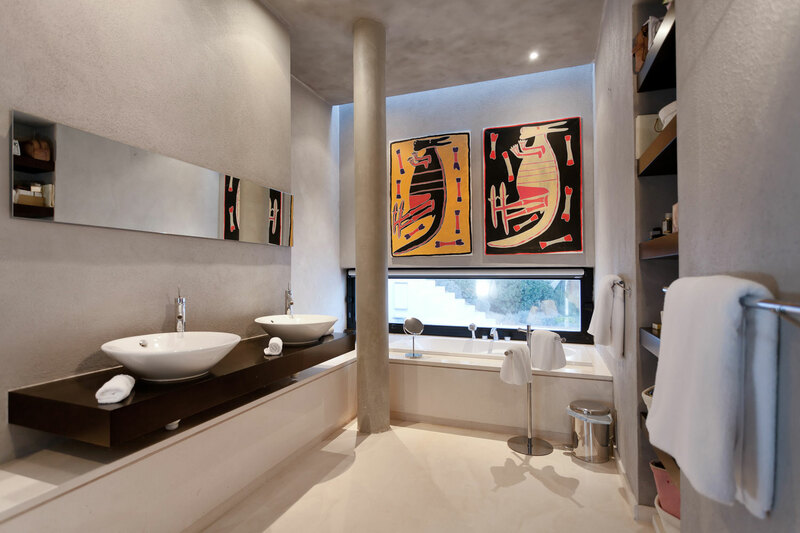 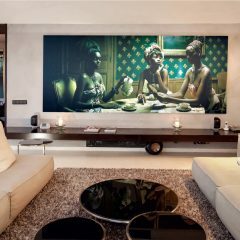 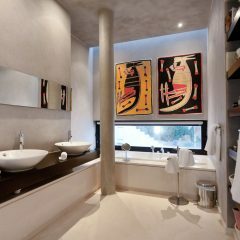 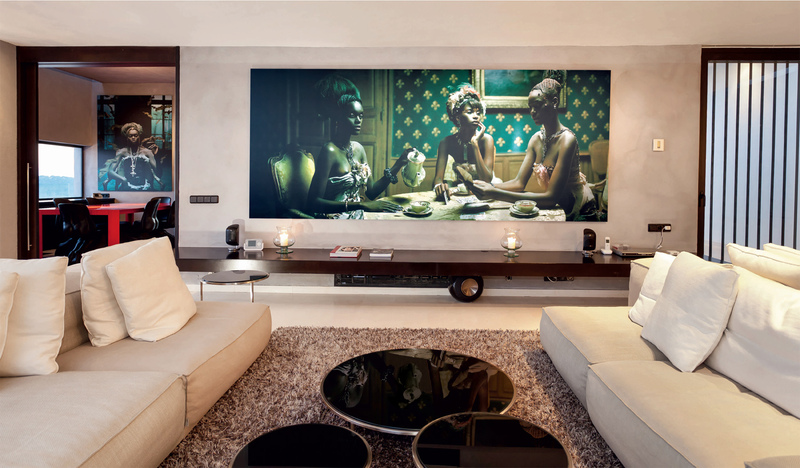 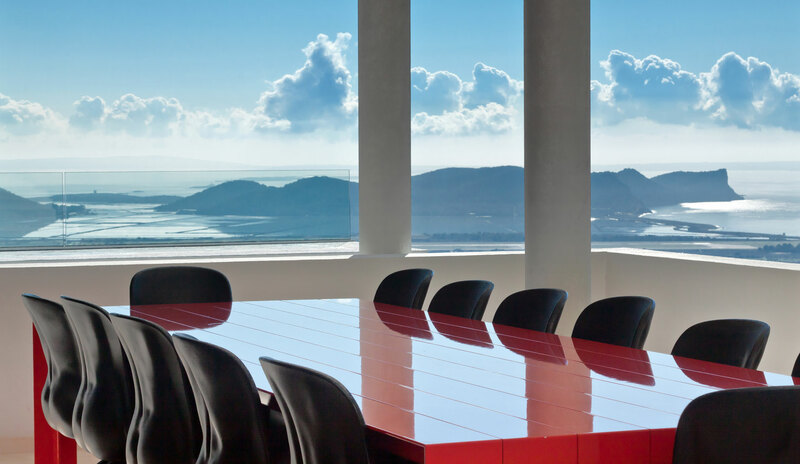 This property is furnished at the highest level, and impress with its tasteful and puristic beauty. 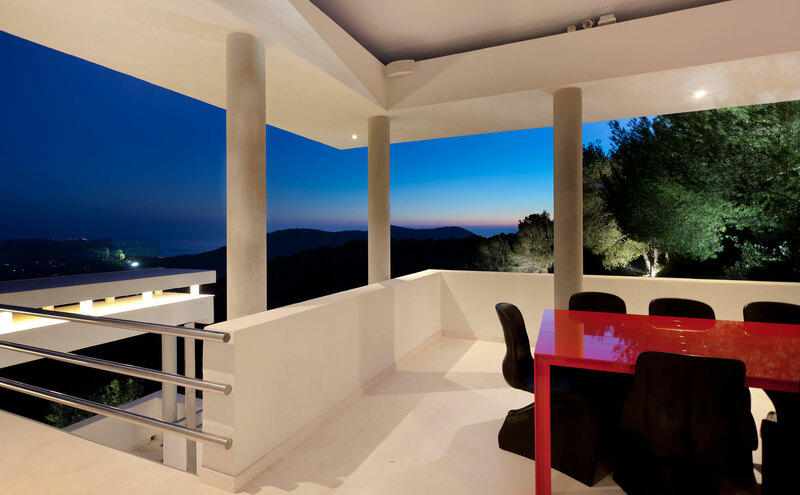 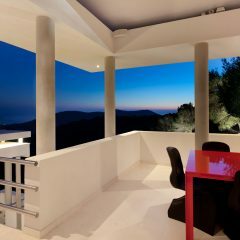 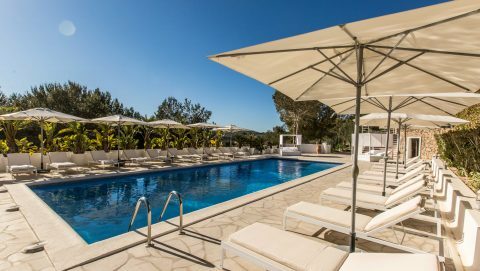 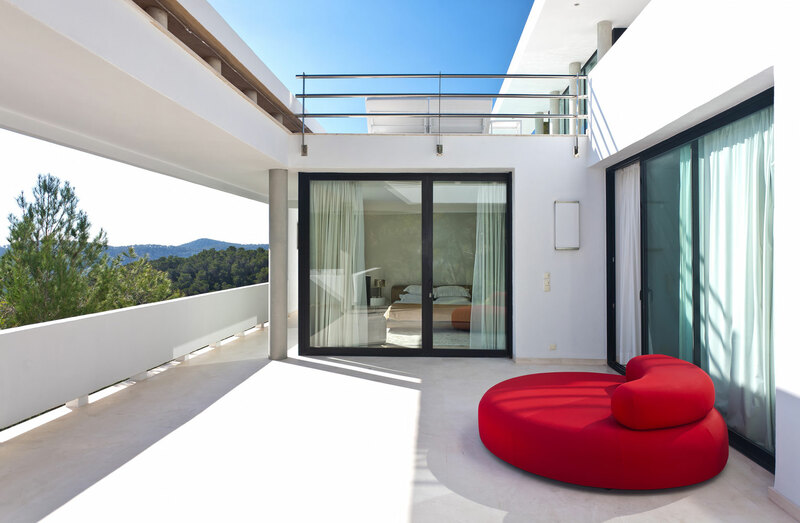 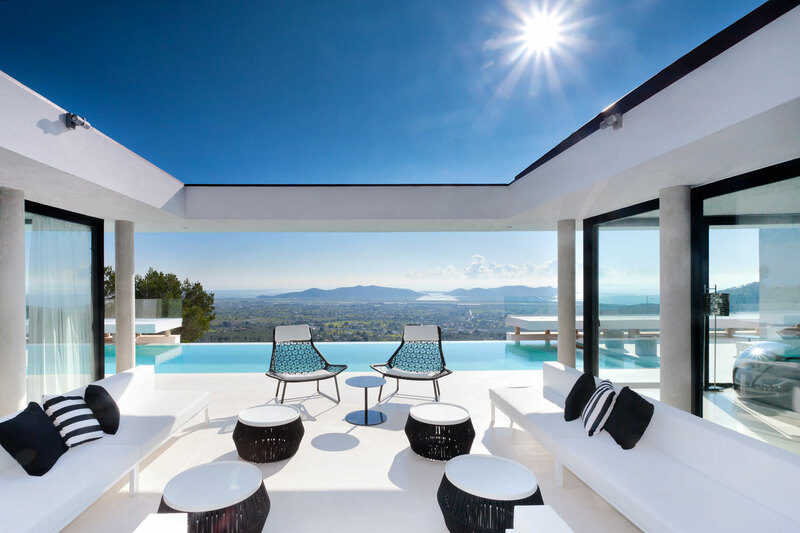 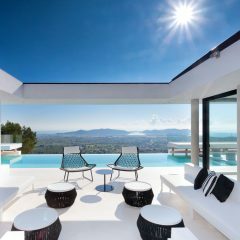 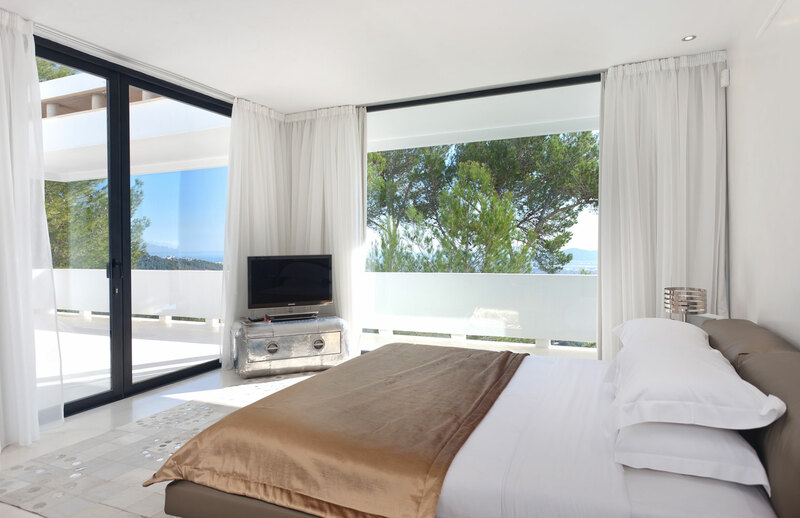 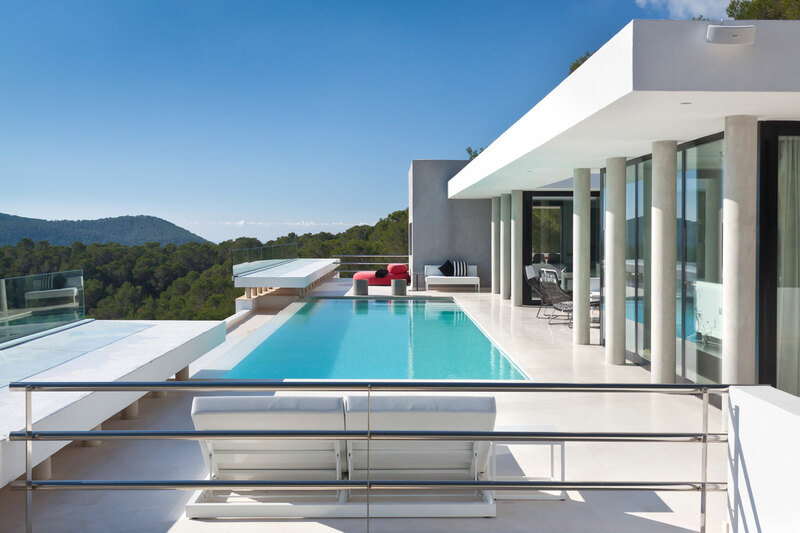 Villa Koi is situated on a hill, only 4 km from Ibiza town and 10 minutes by car from the airport. 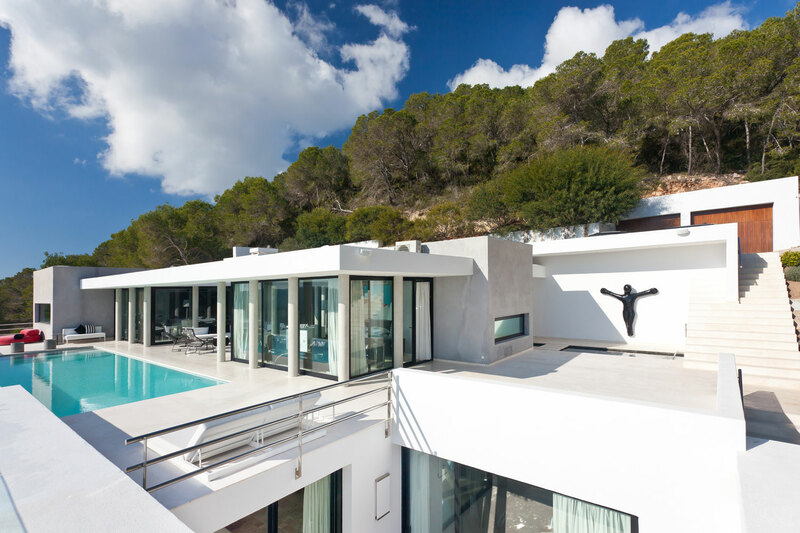 The house is completely secluded and protected from the sounds of the airport with fantastic panoramic views of the sea to Formentera. 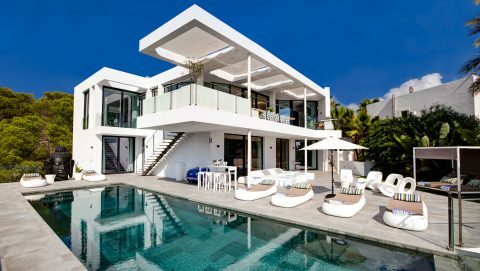 The house has 6 bedrooms, all with en suite bathrooms, an outdoor living room & dining area and a beautiful pool with panoramic views.